Mare Cromwell is a nature mystic, international speaker and author whose books have received multiple awards. She has studied with Native American teachers for nineteen years and has spiritually surrendered to the Great Mother and Earth Mother. One gifted Native American elder calls her The Voice of Earth Mother. The Great Mother Bible is her most recent book. Her other two books are: Messages from Mother…. Earth Mother and If I gave you God’s phone number…. Searching for Spirituality in America. Mare is also a plant intuitive and loves to commune with all things natural. She sits on the Seven Generations World Wisdom Council and is the visionary behind the Great Mother Wisdom Gathering in 2014 in Maryland. 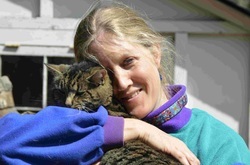 She has a background in international environmental work, was a professional sacred gardener for seventeen years, and worked contractually on environmental projects on the side. 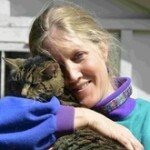 In addition to Mare’s writing and speaking, she is an intuitive empath and shamanic practitioner. She loves to help people release old spiritual, psychological wounds and grow spiritually, to connect in more sacred ways with our Sacred Earth. Mare offers private healing sessions locally and long-distance.